Real estate properties, from commercial office buildings to apartment complexes, require comprehensive key management for the hundreds of people who work in, inhabit or visit their buildings. Management relies on key control solutions to regulate key distribution and maintain accountability. A key management system provides building managers with flexible, secure storage and distribution. Owners or managers of multi-tenant buildings naturally want to maintain copies of keys for all the units in their buildings. Residents, similarly, want to ensure that those keys cannot be easily shared or used without their knowledge or permission. A key management system reassures residents that their keys are secure and available only to individuals who have authority to use them. Real estate requires constant maintenance, often when building residents aren’t on site. Key management gives localized access to tradesmen, such as plumbers or HVAC, without giving access to the entire building. Key control systems include functionality for the user to leave notes, informing management why the key has been accessed along with any other useful information, and the system can notify management when the key has been returned. Key management systems allow worry-free access for maintenance workers. Key control boxes can utilize a single common database for multiple units across multiple properties. Networked storage and access allows many keys and users per site, and is easily scalable by property size and needs. With secure key management, the system can be configured so that keys can be returned to any key cabinet within the system. 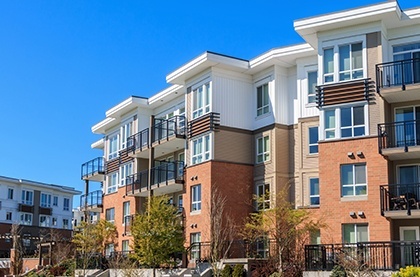 In turbulent times, building management wants to be sure residents know for sure that their home and possessions are only accessible by authorized persons. Key management technology that enables key access and retrieval, allows users to leave notes for recording the purpose of removal, and sends email or text notifications to alert staff or residents to key usage can raise the value of an apartment or multi-tenant building by demonstrating that it is a secure, technologically advanced property. Case Study: Morse Watchmans Key Control Systems Manage Access at Luxury High-Rise Condo – read more.